Elliott Adams of Sharon Springs, New York, a Vietnam War veteran who will have been fasting for 80 days in solidarity with Guantanamo detainees, will end his fast on Sunday, August 4 at the new section of the Masjid As-Salam, 280 Central Ave., Albany (next door to 278 Central Ave., the masjid itself). Veteran Tarak Kauff of Woodstock, who will have fasted for 58 days and also began his fast in solidarity with the Guantanamo prisoners, will also end his fast at the masjid. Both men will eat an iftar meal with mosque members at sundown, around 8:15 p.m., in keeping with the observance of the holy month of Ramadan, during which observant Muslims fast from dawn to sundown. Adams, a non-Muslim, and Kauff, who is Jewish, will speak beforehand at 7:15 p.m. about their reasons for undertaking their fasts, and then answer questions. Dr. Shamshad Ahmad, president of the Masjid As-Salam, will welcome all who attend and will speak about the meaning and traditions of Ramadan, which this year runs from July 8 to August 7. The media and public are invited to hear the men's presentations at 7:15 p.m. on Sunday, August 4 and then to enjoy the iftar meal with the Muslim community. 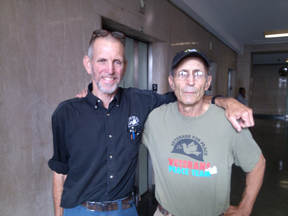 Adams, former mayor of Sharon Springs, former president of the national organization Veterans for Peace, and a community activist, has long advocated for closure of the prison camp at Guantanamo Bay, Cuba. 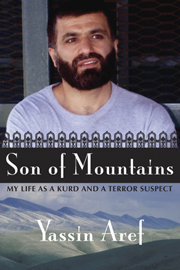 He began fasting on May 17 because of his distress over detainees who continue to be held at the prison without charges or trial, and because of their treatment, saying that it goes against everything he fought for during his years in the military. He has limited himself to 300 calories and 3 liters of water a day. Kauff serves on the board of directors of Veterans for Peace and is one of the founders of War Crimes Times, the organization’s newspaper. He is also one of the original members of Middle East Crisis Response, a group of Hudson Valley residents who support human rights for Palestinians and an end to the U.S.'s aggressive policies in the Middle East. He began his liquid-only fast on June 7 and has been consuming 300 calories a day. Six other people in the U.S. are still fasting long-term in solidarity with the Guantanamo prisoners and with prisoners at Pelican Bay State Prison in California, who are on a hunger strike to protest conditions there. About 10 peace activists in the area have chosen to support the long-term fasters, particularly Adams, through a “rolling fast”: either by fasting once a week for 24 hours or by fasting 24 hours at intermittent times. They have also stood in solidarity with the international movement to close Gitmo by gathering on six different occasions in public demonstrations at various locations in the Capital District, most recently at the corner of Wolf Road and Central Avenue in Colonie. Among the 166 prisoners still being held at Guantanamo, 86 were cleared for release over a year ago. Over 100 detainees, with no hope of release in sight, began a hunger strike in February of this year; as of this writing, 69 are still on strike, 45 are being force-fed, and 3 are in the hospital. A recent video made by rapper and Hollywood star Mos Def, who volunteered to be force-fed, shows how excruciating the procedure is, which is considered torture by many human rights groups. The British rights organization Reprieve has documented the use of forcible cell extractions of those who refuse food, the use of unnecessary force during the force-feeding process, a new regime of invasive genital searches, and the use of solitary confinement to control prisoners. On July 23, on the eve of a Senate Judiciary subcommittee hearing about Guantanamo, 26 of the nation’s most respected retired military leaders submitted a letter urging members of the committee to support steps to close the facility. The event at the Masjid As-Salam is supported and organized by numerous peace and justice groups throughout the Capital District. 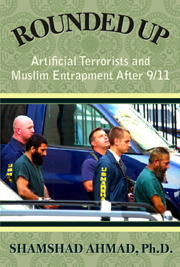 One of those groups, the Muslim Solidarity Committee, notes that August 4 is the ninth anniversary of the arrests of Yassin Aref and Mohammed Hossain in 2004, two Masjid As-Salam members who were later convicted as the result of a phony FBI “terrorism” sting based at the masjid, where Aref was imam. Both are serving 15-year sentences in federal prison. Aref recently submitted a new appeal.